It’s not hummus without chickpeas! 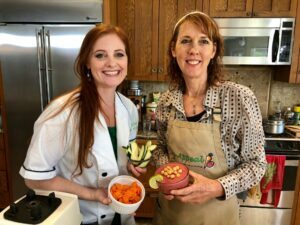 #LunchBreakLIVE TODAY in San Diego, California with Tracy Childs founder/director of Veg-Appeal & Nicky Elliston, chef/creator at Veginings! 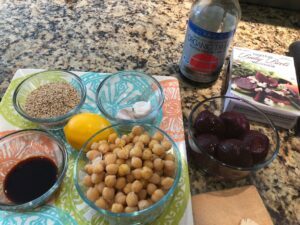 We are coming to you LIVE from sunny San Diego showing you how to make an amazing beetroot hummus with a beautiful color for entertaining during the holidays! 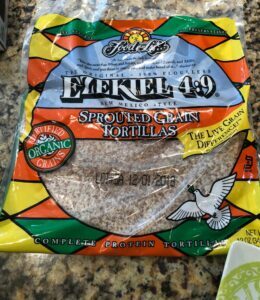 The recipe is inspired from the oil-free Food for Life Baking Co. Ezekiel Sprouted Grain Chips! 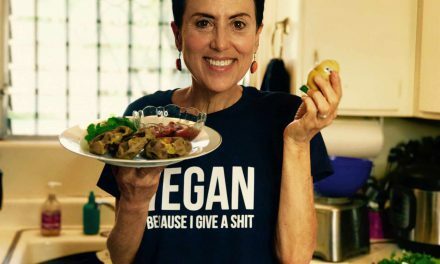 These two vegan chefs are thrilled to share their nutrition, culinary & holiday eating survival tips with you! Tracy and Nicky use these healthy tortillas to make their tortilla chips. Veginings is a new business Nicky started that currently offers prepared meals for people all over the San Diego area. 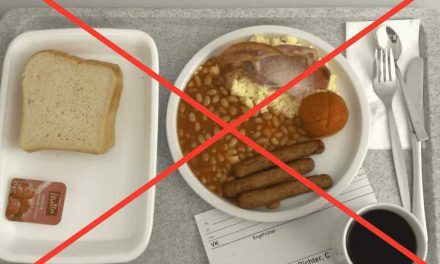 People can customize their meals for the week with this service. Nicky hopes to have a storefront in the next few months. 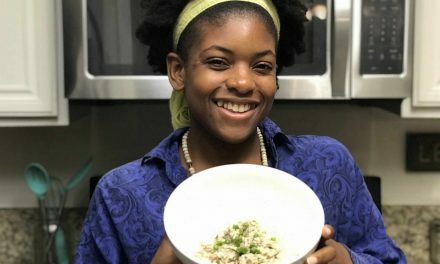 Her meals aim to make her clients healthier. Everything is reduced, sugar, oil, and salt. She uses recipes from the book “How Not to Die Cookbook,” by Dr. Michael Gregor as well. Do yourself a favor and get prepped beets if possible. First, Tracy shows us how she makes the baked tortilla chips for the hummus. 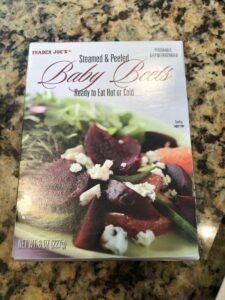 She uses precooked beets from Trader Joes grocery store. To fulfill the tahini flavor, Tracy puts sesame seeds in the blender first. You can soak your garbanzo beans before cooking them, or use Nicky’s tip and add about a tablespoon of apple cider vinegar when you’re cooking the beans. Once you get all of your ingredients in your high-powered blender, you can blend them until smooth. 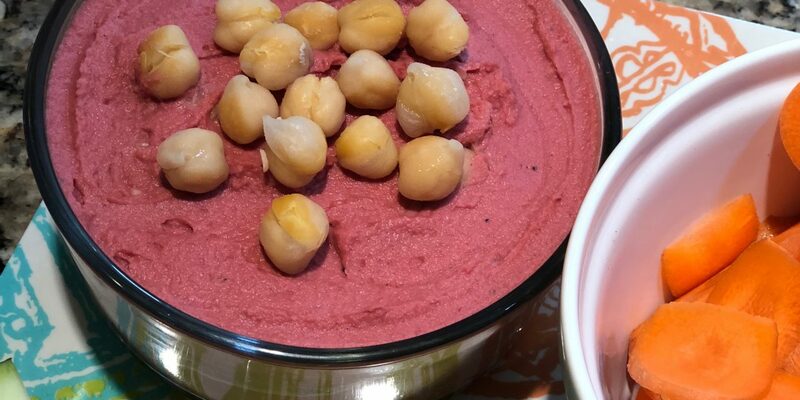 The hummus turns a beautiful deep pink color thanks to the beets. Eat it with your Ezekiel chips or veggies. Tracy and Nicky say that it is delicious with a hint of sweetness from the beets. Make this colorful hummus at home with the recipe below! 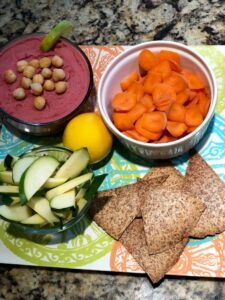 Beet root hummus goes great with veggies and chips! Nicky and Tracy pose with their colorful hummus dish! Cut each tortilla into 4 or 8 triangles and lay them on parchment lined baking trays, being sure not to allow them to overlap. In a hi-speed blender, add the ingredients in the order listed. Serve with baked Ezekiel Tortilla Chips, carrot, celery and zucchini chips. PreviousThe Prettiest Vegan Pumpkin Pie! NextHow a Whole Foods Diet Fuels an Elite Athlete! 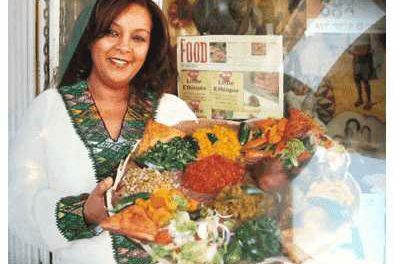 LA's Little Ethiopia Boasts Award Winning Vegan Restaurant!